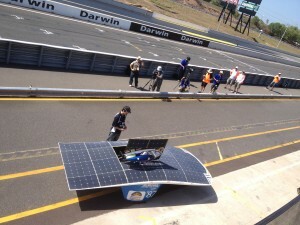 Yes, we’ve just arrived at the sunny Darwin, Australia, for the World Solar Challenge 2013, soon (between Darwin and Adelaide, Australia, from Oct. 6-13, 2013) to begin. 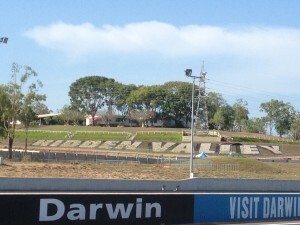 Darwin is the capital city of NT (Northern Territory) of Australia, situated on the Timor Sea. It is the most populated of the two cities in the sparsely populated NT, with a population of 129,062. Since our last visit to Darwin two years ago (World Solar Challenge 2011), it’s gotten much more densely populated, resulting from a collaborative $33 billion Ichthys gas project between the Japanese gas company Inpex and its French partner Total in Darwin and off the coast of Western Australia. If you’re interested in finding out more about this project, then click-> Inpex confirms $33 bn Top End gas project. The influx of such huge projects has foreseeable outcomes: pace of life is picked up; longer opening hours for the local grocery stores such as Woolworths (closing hours changed from 5:00P.M. to 10:00P.M. );increased number of Hilton brand hotels (none in 2011, 3 in 2013);tripling Darwin real estate values in short period of 2 years. It never fails to amaze me how well informed Australian taxi drivers are with local and international news. We were well caught up with most critical news of past two years during our 20 minute taxi ride from Darwin airport to our hotel. 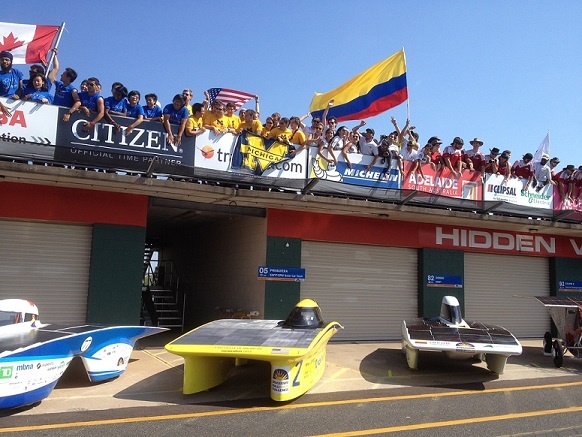 Shortly after our arrival, we (the media) had received a terrific reception by all the teams of World Solar Challenge 2013 at Hidden Valley Motor Sports Complex. Such energy and enthusiasm! This is why we keep on coming back to cover World Solar Challenge, for how can we not have hope and optimism upon facing these students! How can we not try our individual and collective best to help all earthlings to make the shift toward renewable/solar future! This entry was posted on Friday, October 4th, 2013 at 12:31 PM	and is filed under Educational, News. You can follow any responses to this entry through the RSS 2.0 feed. You can leave a response, or trackback from your own site.